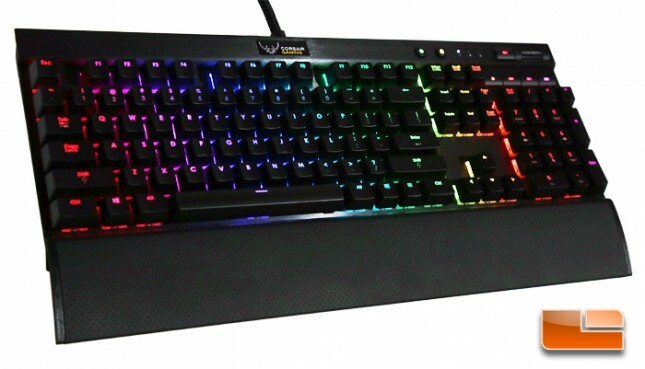 The standard 104 keyboard keys are all backed by Cherry MX RGB mechanical switches. 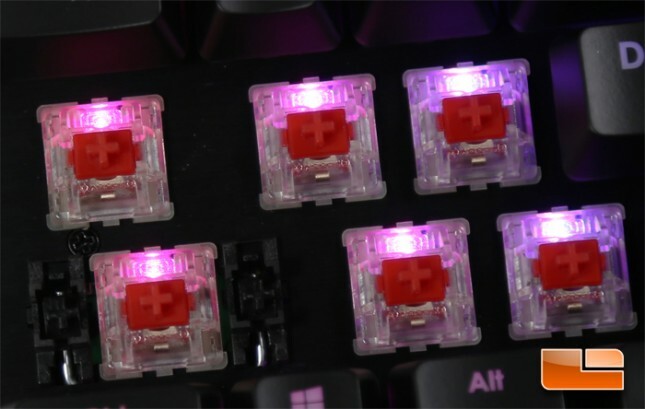 These are modified Cherry MX switches with clear housings and “lens” placed over surface mounted LEDs. 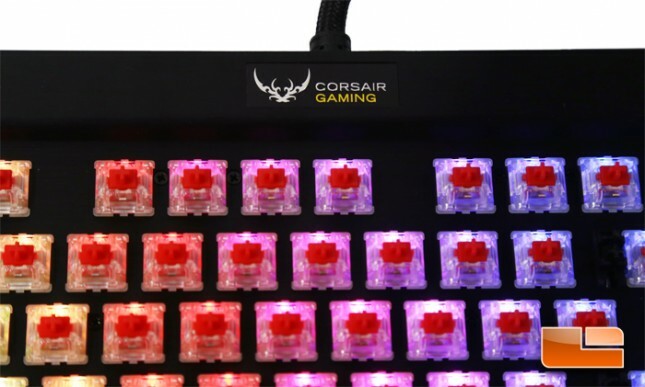 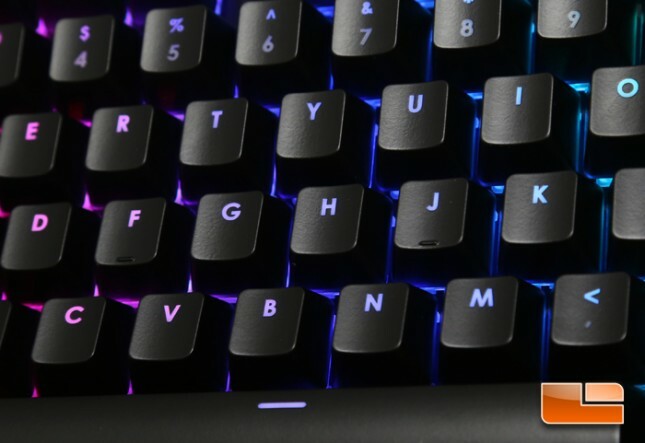 Corsair Gaming RGB mechanical keyboards are available in three Cherry MX switch varieties: linear, nontactile Reds, tactile Browns, and clicky Blues. 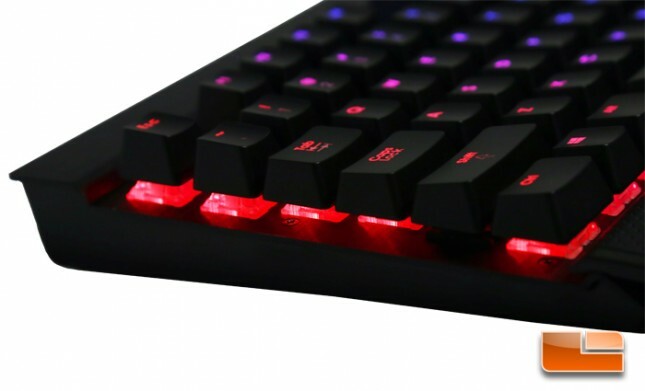 Unlike most mechanical keyboards, the backplate on which the switches are mounted is exposed. 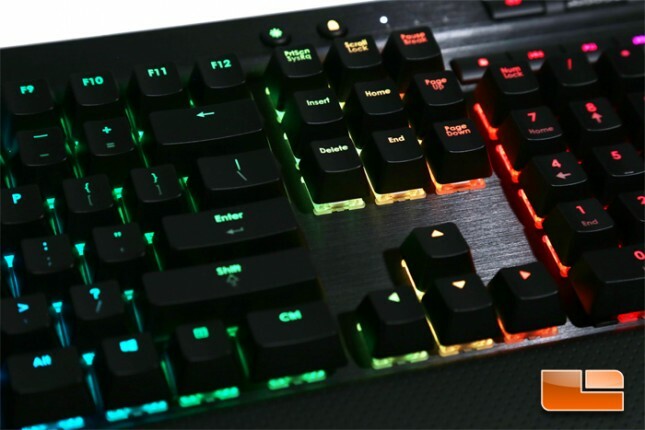 This allows for light from the backlights to flood out from beneath the keys. 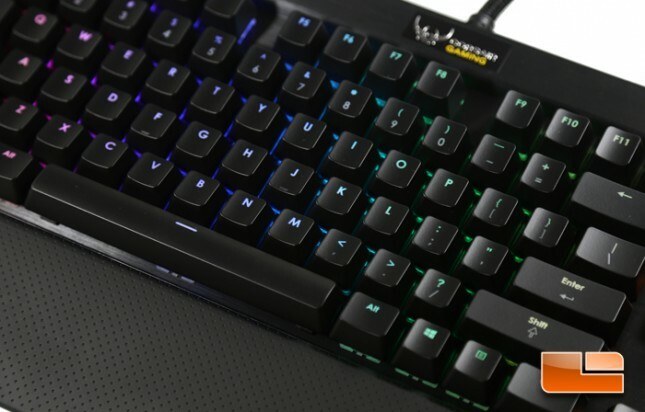 The black brushed aluminum has its own visual appeal as well accentuating high-quality materials.